Image Size: 19.75 X 14.25 in. The art for this limited edition was created at the Hanna Barbera studio in Hollywood. The original drawing was hand-inked, then the master inking printed onto a sheet of exlar film through the silk-screening process . Each cel was then hand-painted using original Hanna-Barbera colors. The background, taken from the original feature film, “Anchors Aweigh” starring Gene Kelly, was reproduced using a fine lithography process. 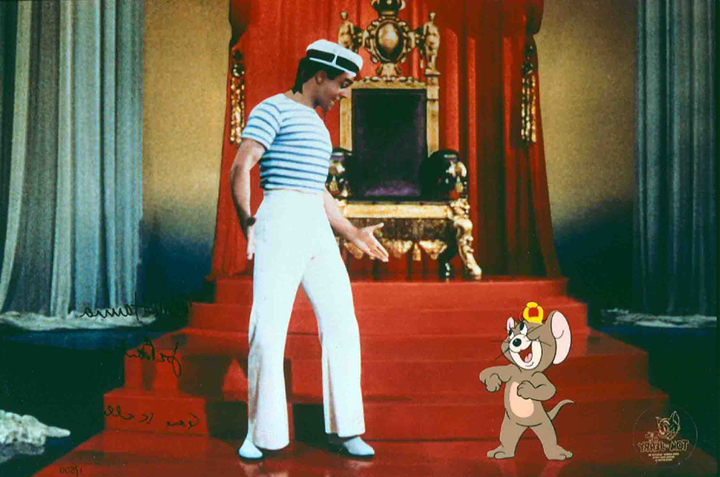 Each piece from the edition was individually numbered and features the signatures of William Hanna, Joseph Barbera, and Gene Kelly. It was also printed with the studio seal of authenticity.